Trick-or-treating is just the tip of the Halloween marathon for spooks. There is just so much more than candy to feast on. Surprise your goblins with gory treats or impress the zombies at your Halloween party with surprises. 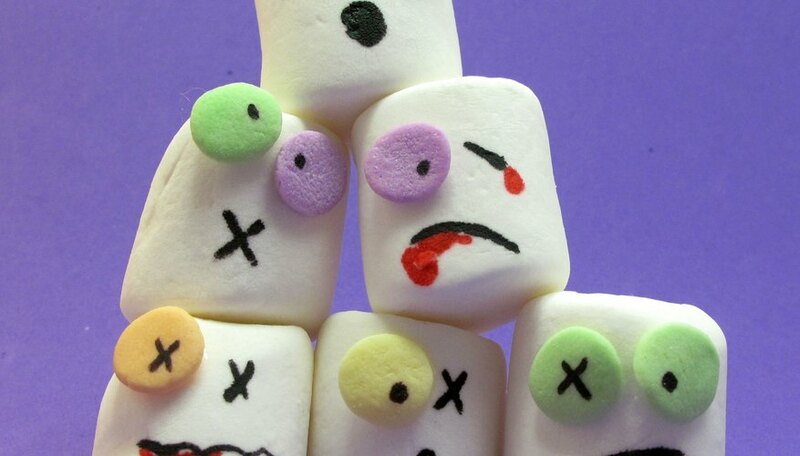 Get into the spirit with some of these fun and frightful ideas, like these zombied-up marshmallows. 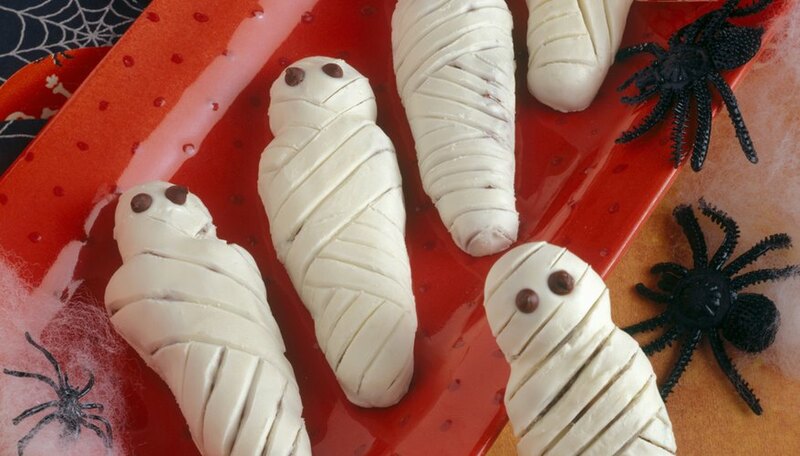 A dip in white chocolate and some creative etching turns these treats into spooky Halloween mummies. 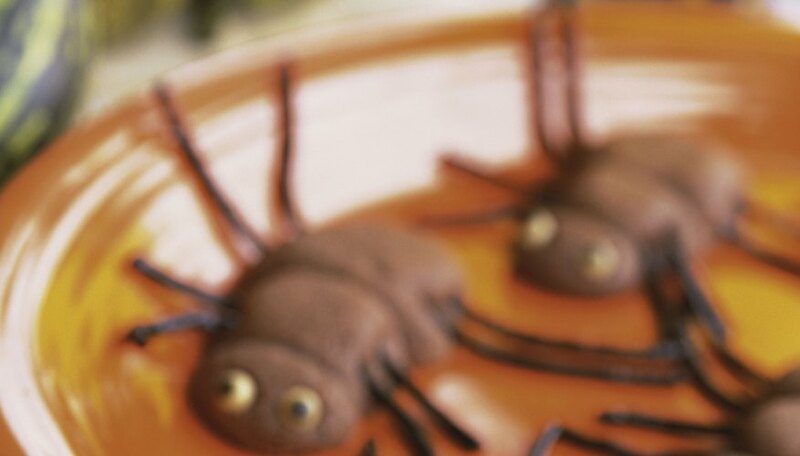 Bury one in your child's lunchbox with a few rubber spiders to enhance the eeriness and give him a lunchtime fright. 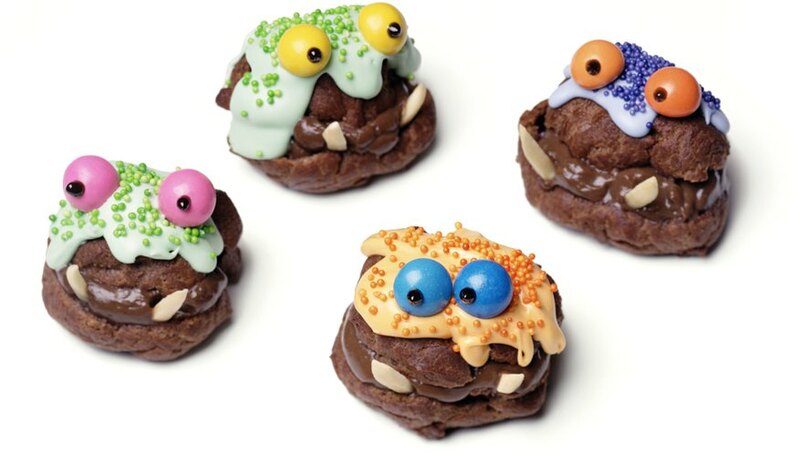 Ordinary cookies become creepy crawly when you add legs and eyes. Black licorice rope works well for legs or you can use mini pretzel sticks. Try white chocolate chips for eyes and add a dab of frosting for pupils. Decorate with Halloween candy of all kinds. If bugs are a bit too gruesome for you, have some fun with these goofy monsters. Spread frosting between chocolate cookies for a deliciously sweet sandwich. Decorate with more frosting, sprinkles and colorful gumball eyes. Slivered almonds make perfect monster choppers. 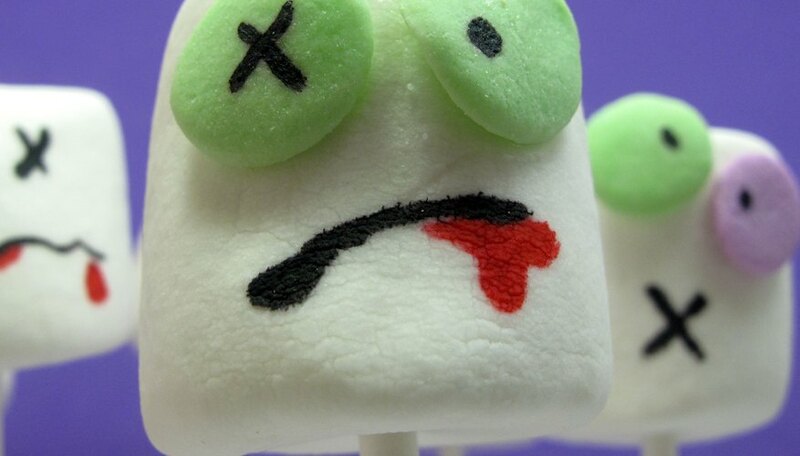 Blogger Meaghan Mountford of The Decorated Cookie shared this fun idea for zombie marshmallows. She used corn syrup to adhere confetti sprinkles to marshmallows and added gore with handy food coloring pens. Add a lollipop stick and you'll soon have an army of undead treats. Related: See more of Meaghan Mountford's creations here. 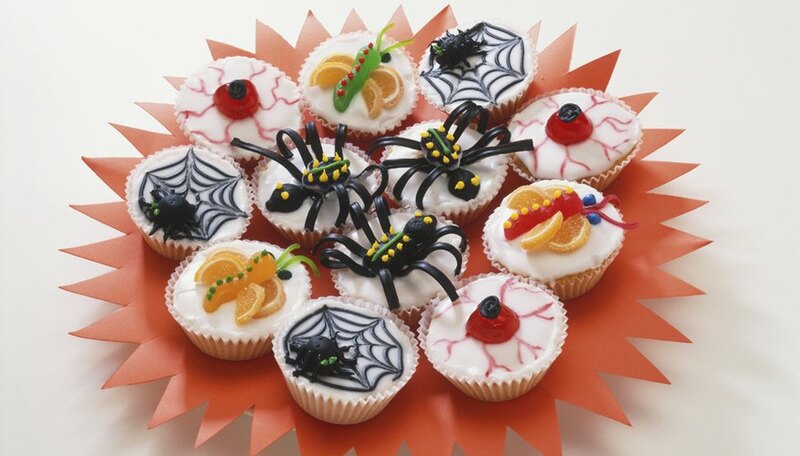 If you're looking for creepy sweets, cupcakes are a great choice, and you can let your imaginations (and fear) run wild. Use maraschino cherries and red frosting to create bloodshot eyes. Sugared orange segments can be used as bug wings. Hollow out the tops and fill with vanilla pudding tinged with green food coloring to turn your cupcakes into a bubbling witch's cauldrons. Decorate a batch with your kids and see what you come up with. If you prefer savory to sweet, get ghoulish with the flour and have some fun baking bread like they did at the Clear Flour Bakery in Brookline, Massachusetts. 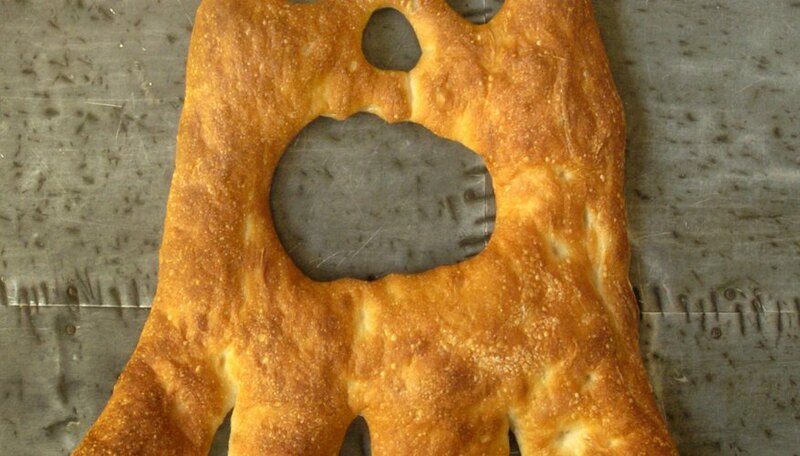 Focaccia takes a frightful turn when shaped into a ghost. 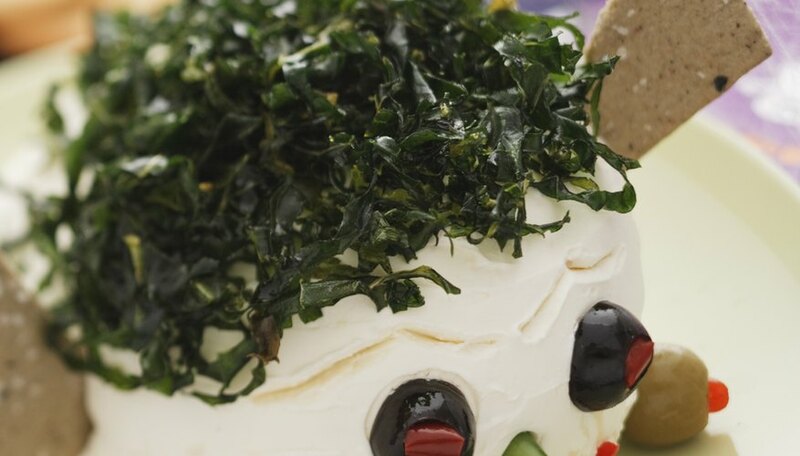 A standard cheese spread become downright dreadful with the addition of seaweed hair, black olive eyes and a red pepper mouth. You can substitute kale for the seaweed and get creative with other vegetables. Two green olives turns this appetizer into Frankenstein's monster. The fun doesn't have to be limited to party spreads. Surprise your kids at dinner with a full meal of Halloween mayhem. 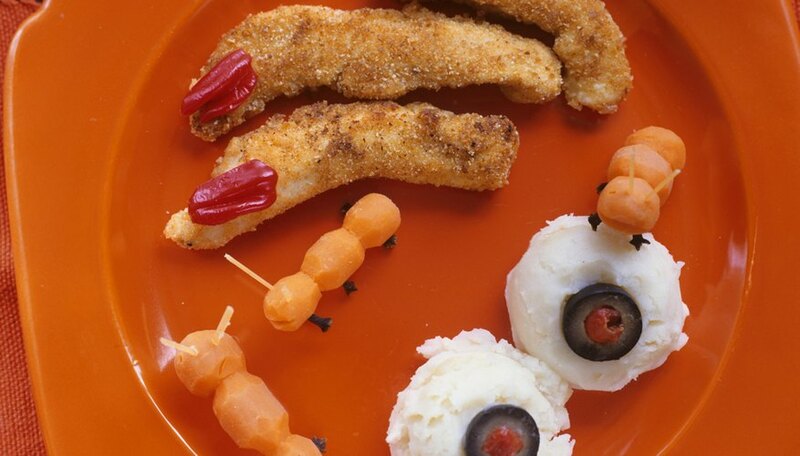 Chicken fingers with red peppers become severed fingers. Place olives on the mashed potatoes to create eyeballs. Carrots are suddenly squirming bugs with spaghetti antenna. This is a delightfully gross way to make sure your kids eat their vegetables. Don't forget a potion to wash it all down. 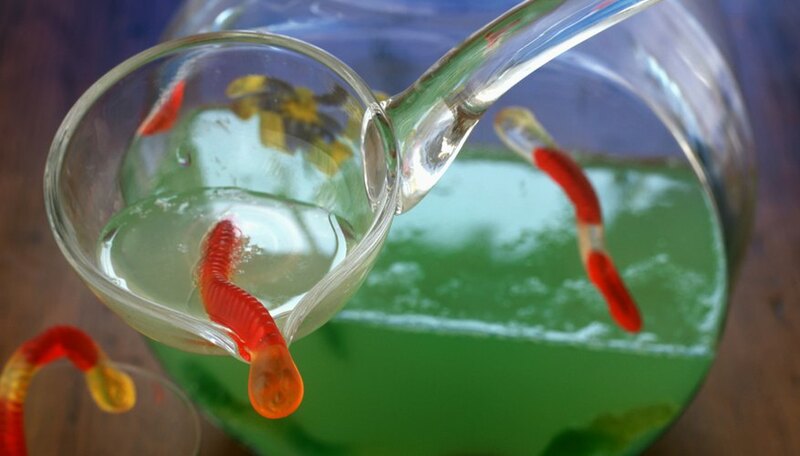 Use lime-flavored gelatin to make an algae-infested green pond punch with gummy worms and Swedish Fish. Red gelatin or food coloring can work for a variety of bloody beverages. Related: Green punch recipe here.